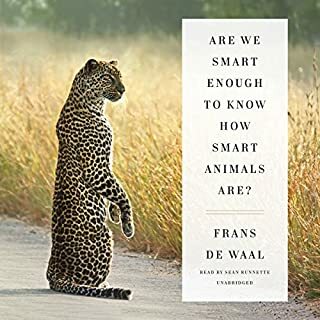 ©2013 Frans de Waal (P)2013 Audible, Inc. I suspect I'm being a little generous with 4 stars. It isn't that I don't enjoy the writing of de Waal; I do. 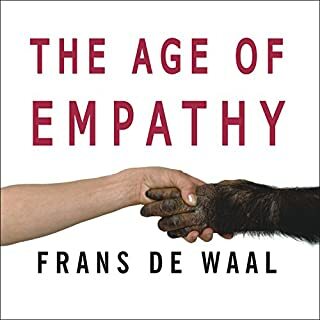 I read de Waal's Age of Empathy (2009), which is why I moved on to The Bonobo and the Atheist (2013). Age of Empathy contains a good many anecdotes from research about animal empathy, which are informative and entertaining. 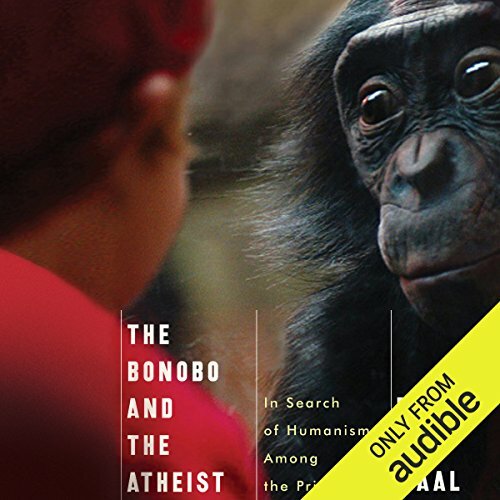 The Bonobo and the Atheist is more meditative. de Waal considers matters of atheism and religion intellectually, but with much less research. Jheronimus Bosch is his companion in these meditations time after time, using the paintings as a guide in his reflections. There are some research-based anecdotes, one of which was so surprising to me that I immediately sought out a companion with whom to share it. (Did you know a juvenile chimpanzee used a log for hours as a proxy baby chimp, cradling it and gently placing it in a night-time nest? Imagination is alive in other primates.) However, that doesn't alter the overall meditative tone on atheism and religion from the European secular perspective rather than harder science. I just happen to like the European secular perspective and de Waal's thoughts about those matters. 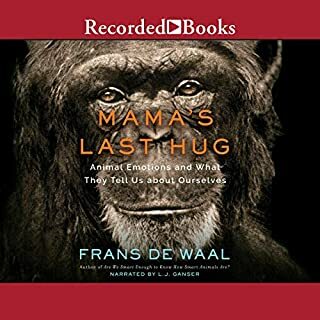 Frans de Waal is a brilliant researcher when it comes to the Bonobos and Chimpanzees that are his primary research subjects, and I absolutely loved the chapters talking about those subjects. Unfortunately, he spends about half of the book ranting about various human authors and speakers (Notably, Hitchens, Harris, and D'Souza). On these sections it is clear that he has only a nominal familiarity with the subjects, and in some cases he even grossly mis-characterizes the views or arguments of the humans in question. There was even one case where the author points out in his book "people will probably accuse me of saying X, but that is not what I am saying at all..." and goes on to elaborate and explain the point in greater detail. Yet de Waal still accuses that author of saying X, and spends most of a chapter explaining why the author is ignorant and mistaken. de Waal also spends a good deal of time critiquing American culture, but in such a way that I seriously doubt he really understands what is going with any of the groups in question. 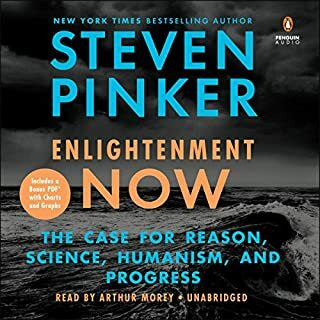 I would have loved a book on ethics than contained not only good science (which this book definitely does), but also something intelligent and cogent to add to the philosophical topics of Ethics. In this case, the book definitely does not deliver. The book really should have been titled "The Bonobo and Human Empathy". The two pillars of all philosophy are empathy and reciprocity. He completely examines the first pillar, empathy, by illustrating empathetic behavior in Bonobos (and other animals) and linking it to our behavior. He's such a good writer even when he wrote about things I completely disagreed with I would find the book thought provoking. I thought he trivialized the arguments of Dawkins, Harris, Hitchens and John Stuart Mill. But, I'm not bothered. I believe what I believe and I appreciated the different perspective. The narrator did a perfect job. 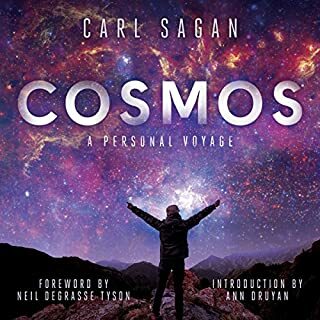 The book is much better than most pop science books I have listened to and I'm much richer for having listened to this highly entertaining book and can definitely say because of this book I'm much closer to my goal of understanding our place in the universe. He does talk about philosophy but I enjoyed those parts as much as I did about bonobos. (P.S. Matt Ridley's book, "The Rational Optimist", fully covers the second pillar of human philosophy, reciprocity. Also, my personal take on the author he seemed like an apologetic atheist and he didn't want to offend anyone. But as I say, I wasn't bothered by this, but I disagreed with him regarding those sections. Also, he seemed to characterized the utilitarianism of John Stuart Mill in a comic book fashion. Once again I wasn't bothered but I don't want to leave the impression that I agreed with him on those two points). This is my first de Waal listen. The bits about primates are interesting, informative, amusing and thought provoking. The guy knows his stuff and I wish there had been more of it. The bits about the art of Hieronymus Bosch are a bit here nor there for me. They probably serve to give some kind of framework to the observations on morality, empathy etc from the primate bits but to be honest the whole "etenal verity of art" vibe goes straight past me in a blur. I'm sure the paintings are fascinating to study but I felt that they added little to this work. The atheism bit was depressing. In a world where people are still in the thrall of imaginary beings to the extent that they are willing to kill each other over them, de Waal's characterisation and interpretation of the "neo-atheists" is at best disappointing and at worst dangerous. He cites primate examples showing where, how and why this mindset can be evolved and completely misses the point that the local and small scale sanctions imposed by a troop of chimps or bonobos loses its efficacy if the bad chimp is armed with an AK-47. In a world where an evolved brain has discovered the chemical formula for cemtex it is depressing to meet an intelligent man who thinks that "why can't we all just get along together" is an appropriate response to the kind of mental backwater that produces religious fundamentalism. Some of his characterisations of the work of the so called militant atheists are completely at odds with my own reading and interpretation of those works. I am perfectly willing to accept that mine may be the erroneous view but am left with a bad feeling that an intelligent man has, at some level, stepped back from a position just because he has faced an argument that he has no chance, at the moment, of winning in a society that is overly reverent of mythical thinking. And most of the bits about primates are about Chimps rather than Bonobos. Theme seemed force. A good read, as always, on primate behavior but the addition of the authors thoughts on atheism and "new atheism" just seem out of place. As if the author used the book as a platform to vent on his displeasure for outspoken atheists. I'm a big fan of the author and really enjoyed "Our Inner Ape." I enjoyed this book less. The writing is interesting but the book has an unstructured, unfinished feel to it. He draws on his vast primatology experience to address the question "how can we have morality without God?" Using many insightful stories about chimps, bonobos and other monkeys he demonstrates that evolution has given us an innate moral sense that only recently (in anthropologic time) has been transplanted to the institution of religion. He never clearly lays out this very delicate and complicated argument. His style is more throw everything at the wall and see what sticks. I never had a sense of what would be coming next and there was no systematic refutation of possible objections. As a student of philosophy I expect a clear premise and a well structured argument to back it up. I agree with most of what he says, but I honestly don't see how you could attack his argument if you didn't. There's no "If A, then B and if B then C. Now I'm going to prove A and B." Instead he gives us detailed analysis of several medieval paintings and anecdotes from his research. I did appreciate his bristling at Hitchens and Dawkins' confrontational atheism. I like(d) them, but both frequently get a pass because of their divine status in the atheist pantheon. In the end "extraordinary claims require extraordinary evidence," and he hasn't brought that. 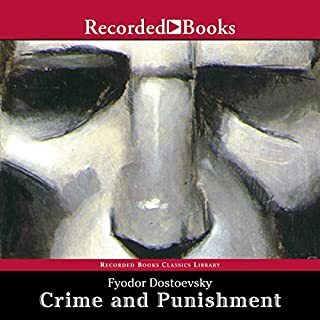 The author clearly has a thorough understanding of primate behavior and offers a compelling argument for a natural, evolved origin of our innate, instinctive human morality. This well-written and accessible book reveals primate and mammal social behavior likely serves as the wellspring of human morality, ethics, and religion. Recommended. Perhaps the book should have been called the Chimp, the Bonobo, and the Atheist. Despite the apparent anecdotal style with which the book is written, I remain confident that de Waal has years’ worth of data to support his hypotheses on every story of primate societal interaction - from which he has spared us readers the tedium. De Waal’s stories and research should give anyone who reads them pause when considering if humans are really as different from the other apes as we’d like to think. In addition, de Waal approaches religion from an angle of respect for its historical significance, which is often forgotten in the atheist dialogue of today, and he calls out the so-called “militant” atheists who are as much bound by dogma as their spiritual brethren. It’s obvious from de Waal’s criticism of Sam Harris that the former has never read any of the latter’s works, which is a pity considering that both are searching for a way to define morality without religion. Despite de Waal’s circular, cherry-picked logic in several sections, he makes a decent case for the inherent nature of morality, and fills this book with examples that are crucial for those who do not yet realize how closely all living things are related.